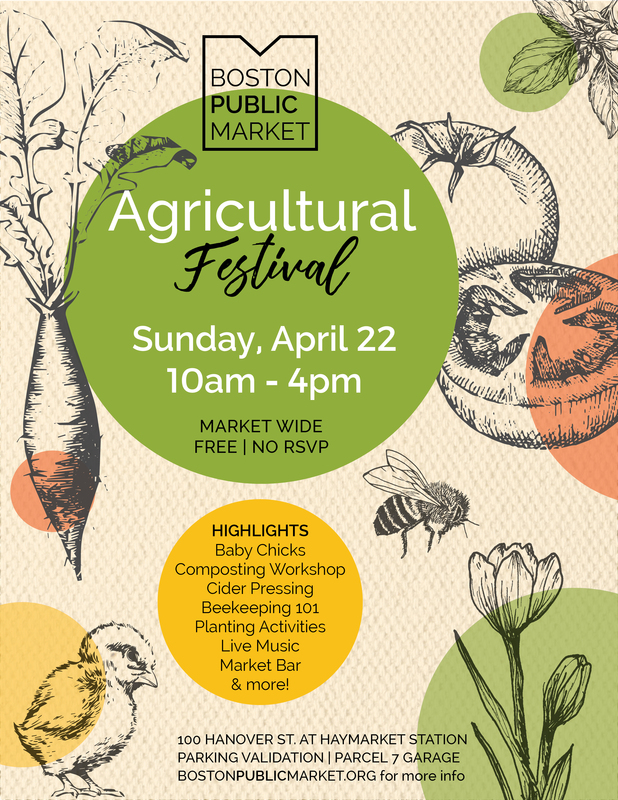 BOSTON, MA (April 2018) — The Boston Public Market (BPM), an indoor, year-round marketplace at 100 Hanover Street that boasts more than 35 local farmers, fishers, and food entrepreneurs of New England, will host its first ever Agricultural Festival on Sunday, April 22nd from 10am-4pm. This free Market-wide event will celebrate Earth Day and the start of the spring growing season with all things agriculture. Try your hand at pressing apples for cider with Red Apple Farm or make your own flower crown with locally grown flowers from Field & Vase. Learn the do’s and don’ts of beekeeping from the Boston Honey Company experts and get your hands dirty in seed planting activities with Stillman’s Farm and FoodCaresBOSTON. Sit in on a composting workshop with Bootstrap Compost, and make (and eat!) chocolate dirt pudding with Taza Chocolate (RSVP required). From live music and a cash bar to face painting and a “meet and greet” with farm chicks, Agricultural Festival offers something for kids, adults, locals, and visitors! 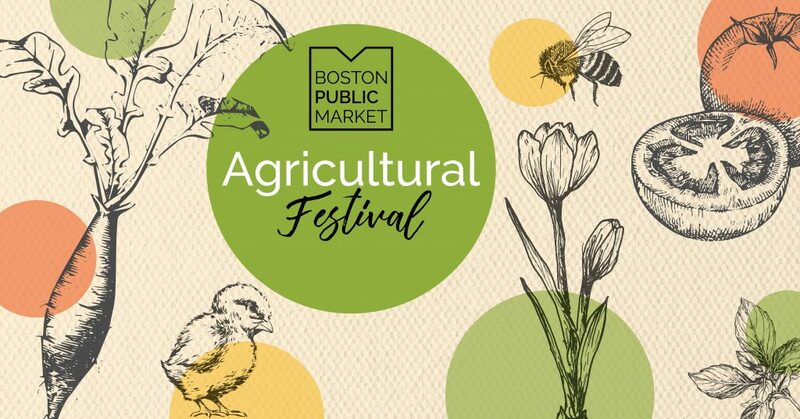 The Boston Public Market Agricultural Festival is a free, public event, and no RSVP is required to attend. A cash bar will serve local beer and wine by the glass priced a la carte, and guests are welcomed to spend time shopping and eating throughout the Market’s 35 vendor stalls. Before you join us on Sunday, start your celebrations with our friends at Eataly Boston! At Eataly's Earth Weekend: A Farmer's Market Takeover, you'll get to meet a dozen of their local producers and enjoy complimentary tastes of their sustainable products. So many opportunities to celebrate our planet and reflect on our impact.